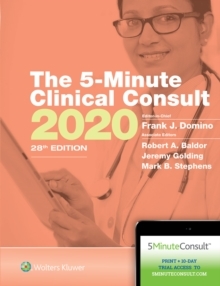 A best seller for over 25 years, The 5-Minute Clinical Consult Premium 2018 is a practical and useful resource for clinicians in primary care, family medicine, emergency medicine, nursing, and pediatrics. It provides rapid access to guidance on diagnosis, treatment, medications, follow-up, and associated factors for more than 540 diseases and conditions. The5-Minute Clinical Consult Premium 2018 is designed to deliver maximum clinical confidence as efficiently as possible...allowing you to focus your valuable time on giving your patients the best possible care. Find the answers you need quickly thanks to an intuitive, at-a-glance format, with concise, bulleted text; hundreds of diagnostic and therapeutic algorithms; ICD-10 codes, DSM-5 criteria; and much more. Make confident decisions aided by current evidence-based designations in each topic. 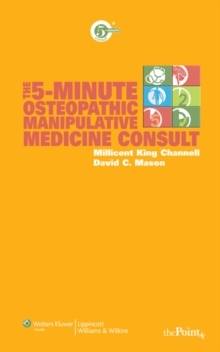 Access valuable clinical guidance in the book as well as 24/7 online access for one year!Written by esteemed internal medicine and family medicine practitioners and published by the leading publisher in medical content, The 5-Minute Clinical Consult Premium 2018: 1-Year Enhanced Online Access + Print, 26th Edition includes 1-year access to 5MinuteConsult.com. 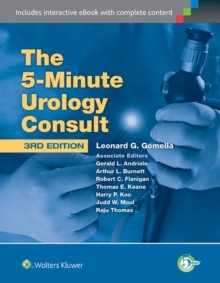 5MinuteConsult.com is a quicker, more valuable, evidence-based, online workflow tool easily integrated at the point of care. 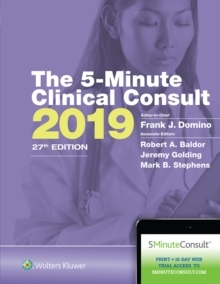 5MinuteConsult.com provides online-exclusive content, including: More than 1,500 additional topics, including the full contents of The 5-Minute Pediatric Consult and Rosen & Barkin's 5-Minute Emergency Medicine Consult. Differential diagnosis support from an expanded collection of algorithmsCurrent evidence-based designations highlighted in each topicThousands of images to help support visual diagnosis of all conditionsA video library of procedures, treatment, and physical therapy techniquesAn A-to-Z Drug Database from Facts & Comparisons (R)Guidance on laboratory test interpretation from Wallach's Interpretation of Diagnostic TestsMore than 3,000 patient handouts in English and SpanishICD-10 codes and DSM-5 criteriaFREE point-of-care CME and CE: 0.5 credits each time you search the site to find the best treatment for your patients. This activity has been reviewed and is acceptable for up to 20 prescribed credits by the AAFP and the ANCC. 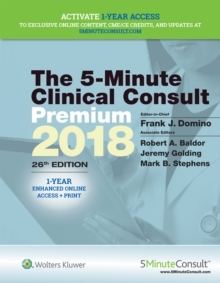 The 5-Minute Clinical Consult Premium 2018, 26th Edition provides the luxury of a traditional print product and delivers quick access to the continually updated online content - an ideal resource when you're treating patients.